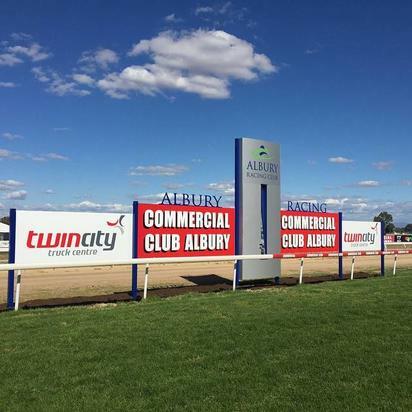 The Craig Widdison stable will supply a number of runners to Albury with the feature listed Albury Gold Cup, race 6 on the card being the highlight of the day, with unsettled conditions forecast though currently running on a good (4). The first of the Craig Widdison runners will see Zephora a four-year-old gelding depart from barrier seven with Nick Souquet aboard the runner currently posted at odds of $11 to 1. Zephora was last seen competing at Pakenham Park finishing second of seven on that occasion he has resumed with a Wagga barrier trial and steps out for the new trainer and should be competitive as always. Mr Coyne will step out in race 3 to compete in a class three handicap over 1500 m with Billy Egan aboard the runner resuming from a break at odds of $31 from barrier 14. Last time out the five-year-old gelding finished fourth of nine at Echuca in a BM 64 handicap some 19 weeks ago and is fresh from a Corowa trial arriving third of seven landing 1.2 lengths behind the winner and steps out for new trainer Craig Widdison needing luck from an awkward alley. Race 5 will see the City Handicap over 1175 m with two stable runners performing in the form of Cash Crisis and Purrpussful to run. Cash Crisis will be ridden by Nakita Beriman jumping from barrier 2 at odds of $13-1 and resumes fresh from a Corowa barrier trial finishing third of six on that occasion, he was last seen at Kilmore finishing fourth of six arriving 7.2 lengths behind the winner. Purrpussful will be ridden by Kayla Nisbet jumping from barrier 12 with the five-year-old mare currently at odds of $41 and resumes second up from a spell after finishing fifth of 8 over a thousand metres at Corowa a week ago. She is strong second up with four starts displaying two wins and one placing and will hopefully find some luck from barrier 12. Race 6 will see the feature Albury Gold Cup of listed quality to be run over 2000 m with two Widdison runners eyeing some of the $180,000 prize money with Willi Willi to be ridden by Nikita Beriman jumping from barrier five currently at odds of $8-1 and Mr Fergus to be ridden by Billy Egan drawing barrier 14 currently displaying odds of $13-1. Willi Willi was last seen finishing fourth of 9/1800 m at Flemington in a benchmark 90 handicap arriving 6.25 lengths behind the winner and always puts his best foot forward. Mr Fergus was last seen finishing fourth of 14/2000 m of fortnight ago at Flemington when competing in a benchmark 70 handicap arriving 4.5 lengths behind the winner and has three wins from five attempts this campaign, he drops 5kg in weight from that outing and will be sure to be making his presence felt late. The final stable runner will see Wyangle compete in a class 2 handicap over thousand metres with the four-year-old gelding to be ridden by Nikita Beriman jumping from an awkward barrier 13 at odds of $26. Wyangle was a last start winner some 19 weeks ago at Albury when breaking the maiden status over 1175m, landing the prize by just under a length and resumed with a Corowa barrier trial, finishing third of seven with Nick Souquet aboard finishing six of 13 at his only first up start & will be better for the outing.